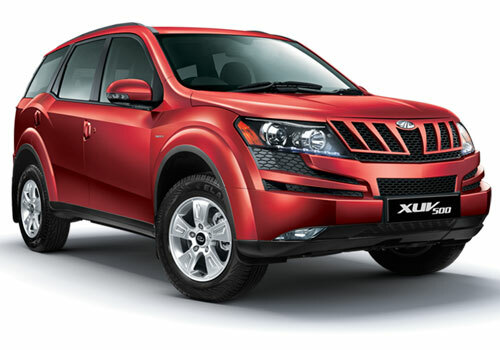 I consider myself to be a proud owner of an adoring SUV named as XUV 500 by Mahindra however name is slightly different and is not a true representation of the strong rugged beauty it holds but is just a name that excited every SUV lover which resulted in outnumbering the vehicle booking and forced the company to stop taking any fresh bookings. Car excited me at the very first look and reminds me of my favorite WWE superstar Bill Goldberg every time I take a look. Strong aggressive front with muscular hulky shoulder like sidelines and a much gracefully designed rear binds the ambience in a strong thread. Powered with 2179cc engine capable to generate 140 PS of power to enable you to take this hulk on almost all sorts of terrains and you will never feel deprived of power even on the highland vehicle runs very smoothly with full load. Pickup is phenomenal and car gives great driving experience whether you are on highway or driving off road. Suspension is like a baby soft toy and keeps the passengers happy all the time. Tyres are broad and grip the road tight like a python rolling around its prey. Interiors are classy, elegant and simply stunning with amply spacious legroom however the third row is bit cramped and fit for luggage keeping only. All the rows are provided with A/C vents that keeps you chill even in the scorching heat of summers. Dashboard is simple and equipped well with all the modern features and amenities. Despite of being an SUV its maintenance cost is pretty low. It’s a best highway wagon and an equally good city conveyance.